E. Failure To Cancel And "No Shows"
UEN Professional Development classes are designed for educators. All classes include instruction on effective teaching and learning strategies. Participants are expected to have some background in teaching and learning and some classes require the development of education-related projects. In order to participate in UEN courses participants must be residents of the state of Utah. UEN honors the Military Spouse Residency Relief Act (Public Law 111-97). If this applies to your specific circumstances please email training@uen.org. In order to register for online or in-person courses, a UEN Canvas account login and password are required. A valid and current email address must be included. Participants can register for courses online by visiting the class catalog online. Most classes are repeated several times a year. New schedules are posted on August 1 (Sept - Dec), December 1 (Jan - May) and April 1 (June - Aug) each year. After selecting class(es) of interest, and clicking the section you wish to add to your list, complete the registration process by using your UEN Canvas account login and password and confirming your contact information. Immediately upon completion of the registration process, participants should receive an email message confirming their registration. Due to the rigorous nature of our online courses and the scheduled model we follow, participation is limited to no more than 3 credits of online courses per person at the same time. It is important to limit an individual’s participation not only to maximize his/her success, but also to allow the opportunity for as many others to participate as possible. Due to popularity and long waiting lists, it is critical that participants cancel before the course start date if they plan on not attending. Participants can cancel by going to the UEN Course Catalog. Navigate to the student dashboard, locate the course you want to drop and select the “settings” icon. Select the drop course option. For assistance please review our cancellation help page. For further assistance participants can contact UEN Professional Development. When scheduled classes reach their capacity, people may register themselves on the waiting list. As others drop from the class, waiting list participants are moved to enrolled status and are notified in the order their registration was received. If a participant is moved from the waitlist to the enrolled list they are still required to cancel if they plan on not attending. Failure To Cancel And "No Shows"
In the event that a participant fails to attend class (online or in-person), that person’s status is set to No Show. If a participant has more than three No Shows in their registration history, UEN reserves the right to cancel their participation (drop them from the roster) in favor of someone from the waiting list. If it is necessary to take this step, the participant will be informed via email that their registration has been canceled. A pattern of No Shows may result in a person not being able to register for future courses. UEN reserves the right to cancel a scheduled course if the number of confirmed participants is less than 10, one week prior to the beginning of the course. Participants will be notified via email if a course is cancelled. Participants must attend all 15 hours of in-person (2-day) courses and complete all coursework in order to receive points or credit. No points or credit will be given for partial attendance/participation. A participant may miss up to two hours of an in-person class without jeopardizing their credit; however, because UEN makes every effort to use instructional time effectively, participants must consult with the instructor regarding any missed time (preferably in advance) and makeup work required. Instructors have discretion to recommend a participant drop the class if his/her absence of two hours or less would be disruptive to the rest of the class or to the participant’s ability to understand and practice the material. Participants must complete all coursework in online courses in order to receive points or credit. No points or credit will be given for partial coursework, attendance and participation. All UEN-created online courses follow a “scheduled asynchronous” model. This means that there are scheduled weekly deadlines, but within the week participants may choose the best time(s) to complete the work. For online courses, a “week” begins Thursday morning, and ends at 11:59 pm the following Wednesday. Therefore, all assignments are due by 11:59 pm Wednesday of that week. Most courses require logging in two times during the week – once early to post in the discussion board, and a second time later in the week to reply. Discussion is an important aspect of all UEN’s online courses. You must post at least one original message and two meaningful replies each week. Online class participants are allowed to make up one week of work as long as the make-up work is completed within the seven day "grace period" after the due date. Credits for license points are issued based on contact hours. One credit is awarded based on 15 hours. Contact hours is defined as; time spent with an instructor (in person or through synchronous/asynchronous technology), learning team, online text-based forum, lecture captured content, video-based instruction, computer-based instruction or simulations, conference attendance (must show accountability and have a substantive final assessment) and so forth. Time not considered contact hours includes homework outside of class: reading, writing, non-group projects, and so forth. 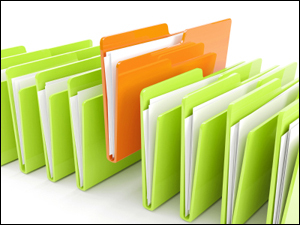 UEN Professional Development provides SUU and USBE credit opportunities as documentation of course completion. It is up to participants to verify that their particular district or the state office will recognize the credit for lane change or relicensing. Credit will be issued after successful completion of the course. For in-person and Flex Courses participants must submit their final assignment within 30 days of the last day of class. Online coursework must be completed before the last day of the online course. Participants must complete the Course Credit Request within 7 days after successful course completion. Participants who do not indicate credit type after 7 days of the course end date will be given USBE credit. UEN cannot change credit from USBE to SUU or vice versa. No charge for processing through UEN. One credit awarded for 15 contact hours plus completion of final assessment. After successful completion of the course UEN will record credit in USBE MIDAS management system. Requires transcription fee to SUU. Courses coded with (IELP) are $21 per credit and courses coded with (IELE) are $23 per credit. Participants must mail SUU Credit Registration Form to SUU along with payment within 60 days of course completion. SUU will not accept credit requests for courses older than one year. Credit appears on SUU transcript. Credit will NOT be in MIDAS. All classes from UEN are 5000 level credit. UEN Professional Development maintains records of class attendance for two years. Participants may access information about the status of credit requests by contacting the department’s administrative assistant. It is the responsibility of each participant to verify that credit appears appropriately in the USBE MIDAS system or in their Southern Utah University transcript. Any issues must be reported to UEN Professional Development staff immediately for timely resolution. UEN staff are not able to process paperwork more than a year after the last day of class, nor is UEN able to “change” credit from one type to another once it has been processed. Participants may view their UEN course status and history by logging into the UEN Canvas Catalog and navigating to the Student Dashboard. Questions regarding information in this tool may be directed to UEN Professional Development. UEN pays the University of Utah for parking and provides a parking validation for class at no charge. For more information on parking visit Parking and Driving. UEN is not able to pay for parking tickets, to appeal them or otherwise resolve parking issues. Participants may appeal tickets through the University’s Commuter Services department directly. Due to a variety of needs and situations and variation among districts in the state, UEN Professional Development management maintains flexibility with regard to class requests. Minimum of five participants for a one-time, short presentation. Minimum of ten participants for any class that requires multiple trips or extensive preparation. Our primary mission is to serve Utah teachers – classes for educators are always our top priority. UEN may make exceptions for state agencies, district support staff and others closely related to our primary audience based on availability. Scheduling of sessions is generally on a first come, first served basis, but UEN reserves the right to limit sessions provided for one entity to allow for a more equitable distribution of our services and to be sure that UEN is serving as many educators as it can with limited resources. To review a list of presentation topics and submit a presentation request form, visit our Request a Presentation web page.